Will Congress Follow Trump’s Lead, Cut Back on Invasive Education Programs? In a disappointing move, the U.S. House Education Appropriations Subcommittee made only minor cuts to the overall budget for the U.S. Department of Education (USED) and to numerous invasive and ineffective programs in their bill writing session held last week. The subcommittee also increased funding for some very worrisome programs. This is quite disheartening given the hope engendered by the Trump administration budget blueprint. The good news is that almost all of the requests for expansion of federal school choice programs — which have the strong potential to expand federal regulations like mandated Common Core-aligned testing to private schools or continued control of charter schools — were denied. 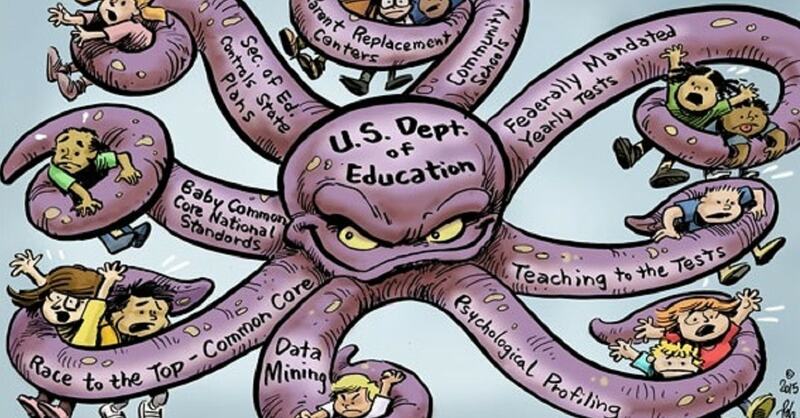 The House cut the overall budget for the U.S Department of Education by a mere $2.4 billion for a total of $66 billion, compared to the Trump administration request of $9.2 billion for a total of $59 billion. With an enormous federal debt of $20 trillion, combined with the horrifically poor track record for USED, they could have done much better. This is another piece of the dangerous social emotional learning (SEL) push and will result in lots of sensitive data being collected on students and their families, harming privacy and freedom of conscience. It is also just another example of a terrible, unconstitutional, invasive program being continued despite clear evidence of ineffectiveness and harm. 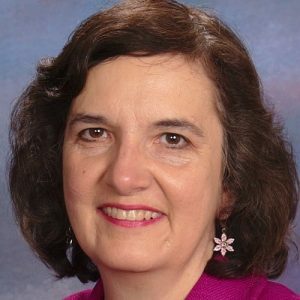 Even worse is the increase in funding for the Title IV block grant that will expand multiple school based mental health and digital learning programs, neither of which are shown to be very effective and again require much data collection and/or subjective psychosocial monitoring with little privacy. The administration wisely wanted to scrap that program altogether. Sadly, the House increased its funding from the current $400 million to $500 million. Funding for the invasive federal research and student data mining apparatus of the Institute for Education Sciences (IES) was also increased by $69 million by the subcommittee. This is quite disappointing since it was significantly cut for FY 2017 and because privacy is violated while research showing that ineffective and invasive programs should be eliminated is often ignored. The invasive and ineffective Head Start program received $34 million less in funding compared to the continuing resolution of last summer funding fiscal year 2017. The House has also decided not to spend any money on the Betsy DeVos/Jeb Bush-promoted private school choice initiative, despite an administration request of $250 million. Many major figures in the education freedom movement have written about the danger of private school choice programs requiring the Common Core-aligned tests to private school autonomy, including Phyllis Schlafly, the late, iconic president of Eagle Forum; Jason Bedrick of the Cato Institute; and Education Liberty Watch’s Choice Freedom Grading scale. In addition, although USED asked for $500 million to expand the charter school grant program, the subcommittee only gave them $370 million. Most states still require charter schools to administer the Common Core-aligned tests, which makes them less likely to innovate as an alternative for students in struggling schools nor to be a viable alternative, except in rare cases, to the standards and tests required in public schools. Florida just passed a bill that gives over $140 million more to charter schools while eliminating much accountability to parents and the public. Both the House and the administration agreed on eliminating a federal teacher-training program. The full House committee and the Senate committee still need to put forth their bills, in addition to having the bills undergo amendments and votes in their respective full chambers. This is a major reason it is essential to keep the goal of removing Washington from education squarely in view at all times. Fail to eliminate it completely – to make going to Washington for education cash nearly impossible – and bad programs will be kept, many that seem gone will grow back, and new ones will emerge. If you don’t want to get stung by the jellyfish, you can’t just cut a few tentacles.